I have been interning at Cookthink for about 2.5 months now. Majority of my "job" has been entering and coding recipes into Cookthink's database. Lately, however, I started writing reference articles: I find this task a lot more exciting and educational. In addition, this new aspect of my internship allows me to hone my writing skills and to use a bit of creativity when describing a cooking technique or an origin of an ingredient. 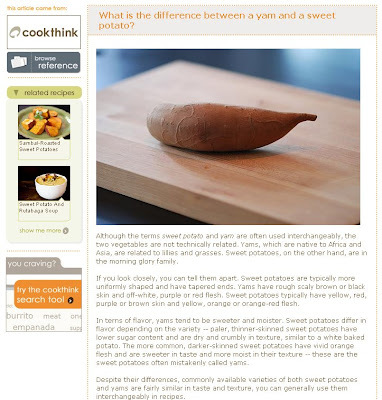 Here are a few examples of my reference articles: What is the difference between a yam and a sweet potato? 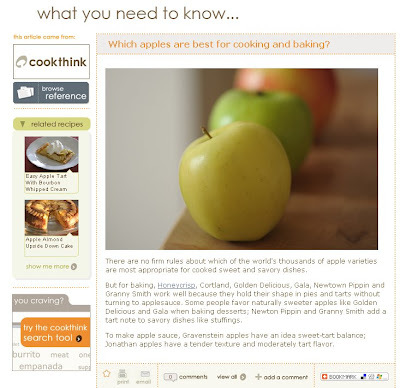 and Which apples are best for cooking and baking? 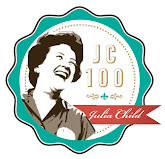 I will post more links once they've been approved and published by Cookthink. Special thank you to Paige, who has encouraged me to ask for more responsibility at my internship, and to Claire and Kristin of Cookthink for letting me expand my duties. 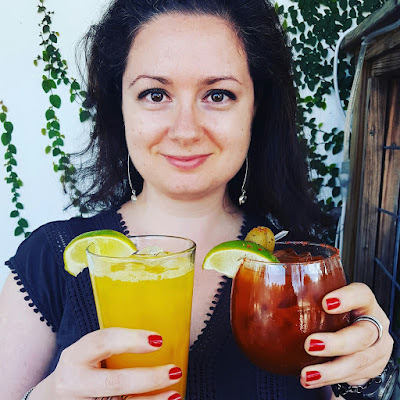 You have such an interesting blog - I really like everything connected with food. Thanks for sharing your posts. I especially enjoyed your yam vs sweet potato write up. Very informative!